NEW CASTLE, Del. 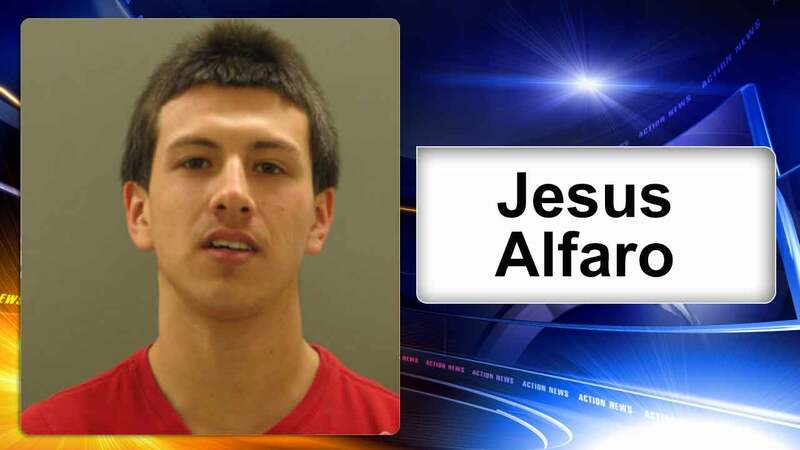 -- Police in New Castle County have arrested an 18-year-old in connection to a series of burglaries. Police say two burglaries occurred in the community of Todd Estates, one in Rutherford and one in Wellington Meadows. Jesus Alfaro was arrested on Tuesday. Police say detectives located evidence on Alfaro further linking him to the burglaries. Alfaro was charged with four counts of second-degree burglary, three counts of obtaining a controlled substance by theft (felony), theft of a motor vehicle, four counts of misdemeanor theft and two counts of misdemeanor unlawful use of a credit card. He was committed to Young Correctional Institution after failing to post $44,500 cash-only bail. He was issued a no-contact order with the victims.